We will be having normal morning buses and they will bring all campers to camp. We will have instructional swim for all groups as well as free swim for the 1-2 and 3-4 groups. 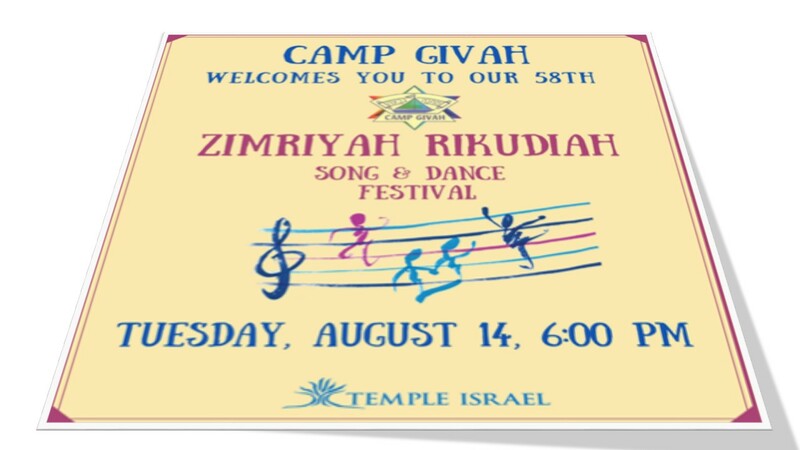 Campers will return in two shifts to Temple Israel for a dress rehearsal and to learn the finale song/dance. We will be providing a delicious dairy pasta dinner for all campers and counselors. A gluten free option will be provided as well as a dairy free option. Campers should be sent to camp with their costumes in labeled bags. The performance will start at 6:00pm and will run for about an hour. Givah Jams (CDs) will be sold there. 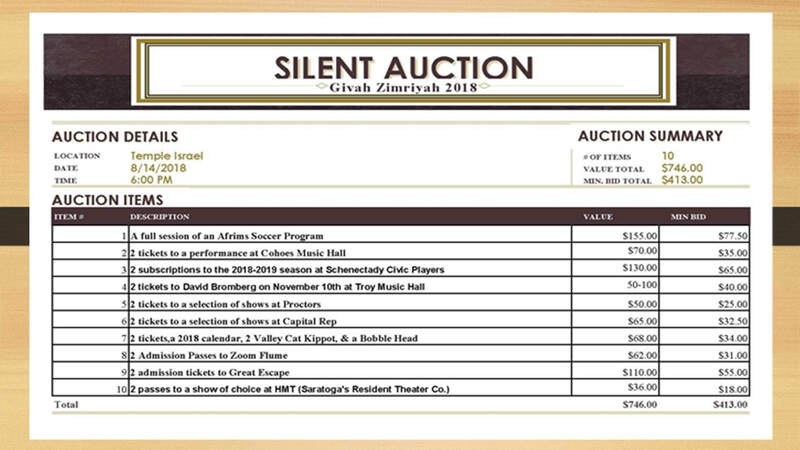 We are proud to announce this year’s Givah Zim featuring a silent auction component!